Subtle changes and a big camera upgrade separate Samsung's upcoming phone from the Galaxy S8+. Update 9/11/17: We reviewed the Galaxy Note 8 and gave it 5 stars. Seriously, it's that good. The Galaxy Note 8 is the best phone Samsung has ever made. It's a massive leap over the Note7 and even manages to improve upon the impressive Galaxy S8. 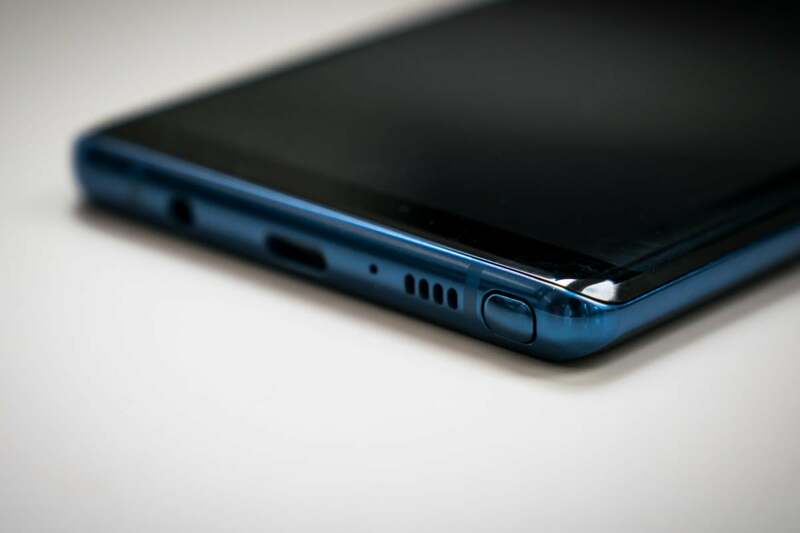 The price might be a little steep for some buyers, but if you don't mind making an investment, the Note 8 will be an awesome phone for years to come. Read our full review to learn why we love it so much. T-Mobile is charging $930 for a full-priced Galaxy Note 8, or you can put down $210 up front and spread the rest of the cost over 24 $30 monthly payments. Also, Jump On Demand customers will pay $39 a month with no down payment, for a cost of $936. AT&T customers will pay $950 up front for a Note 8, or $31.67 for 30 months on an AT&T Next plan. Over at Sprint, the Note 8 will also cost $960. However, the carrier is offering the the device for zero down and $20 per month for 24 months ($480) with the Sprint Flex leasing plan for new customers. The Galaxy Note 8 looks a lot like the Galaxy S8+ but there are subtle differences. If you’ve used a Galaxy S8+, then you already have a pretty good idea of how the Note 8 looks. 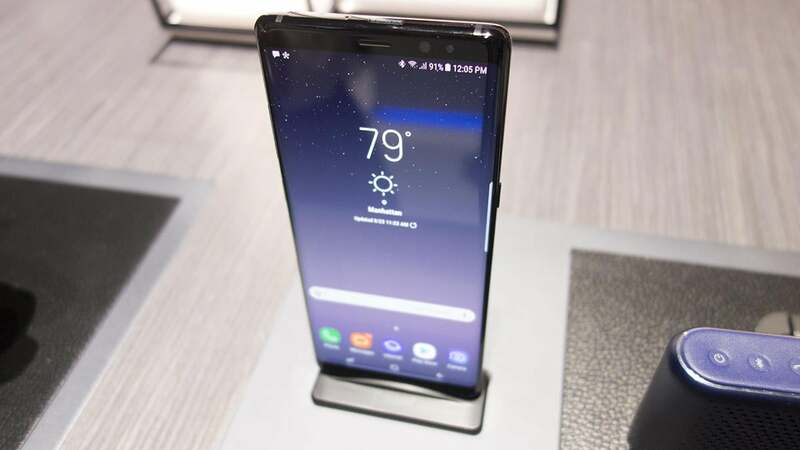 It features a 6.3-inch AMOLED display (up a fraction of an inch from the 6.2-inch S8+), and it features the same stunning Infinity Display design. The design takes most of its cues from the S8 as well, with thin bezels at the top and bottom and an all-glass enclosure. Flip it over and you’ll find a dual camera and a fingerprint sensor, still unfortunately positioned to the right of the camera. The corners of the device are slightly squarer than the S8+, but unless you compare them side by side, it’s very difficult to tell the two phones apart. An S Pen slot, USB-C port, and headphone jack are all present on the Samsung Note 8. The Note 8 is powered by the same Snapdragon 835 chip that's inside the Galaxy S8. It does, however, have 6GB of RAM, an increase over the S8’s standard 4GB. As far as storage goes, the Note 8 comes with the same 64GB of internal storage as the S8 and keeps the microSD card slot as well for expansion up to 256GB. It also has IP68 water resistance, support for fast wireless charging, and a headphone jack. After last year’s exploding batteries spurred a global recall, Samsung is playing it a little conservative with the Note 8. The handset features a 3,300m Ah battery, which is smaller than the S8+ and the Note 7, both of which sport 3,500 mAh batteries. 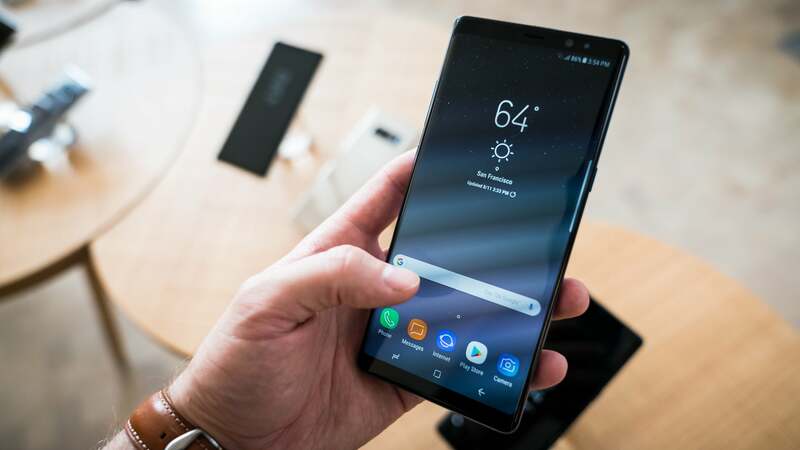 Additionally, Samsung is running Note 8s through the same rigorous 8-point battery safety check that it implemented for the S8, and has established a partnership with UL to certify the Note 8 complies with the firm’s specific standards. All of which is to say, the Note 8 should be safe to take on an airplane. The Note8 packs a dual camera with optical image stabalization in both lenses. 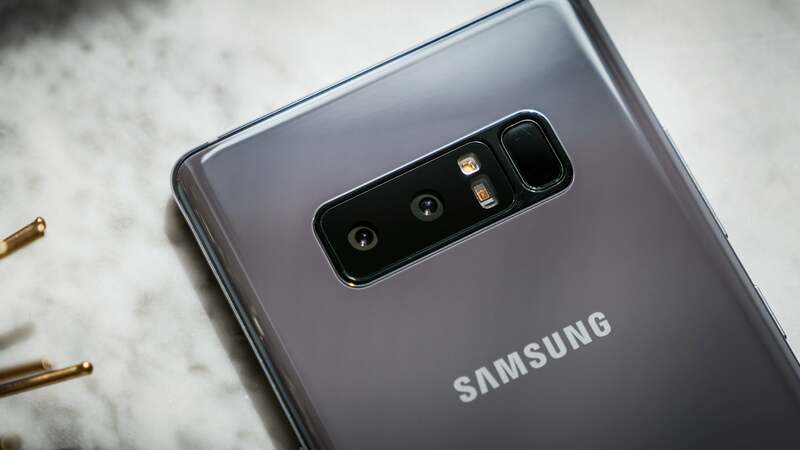 Samsung has seriously upgraded the camera in the Note 8, adding a second lens on the back for its first dual-camera Galaxy phone. Both lenses have the same Dual Pixel 12MP sensor, but the main “wide” lens has an aperture of f/1.7 while the secondary telephoto lens offers 2X optical zoom but a slower f/2.4 aperture. 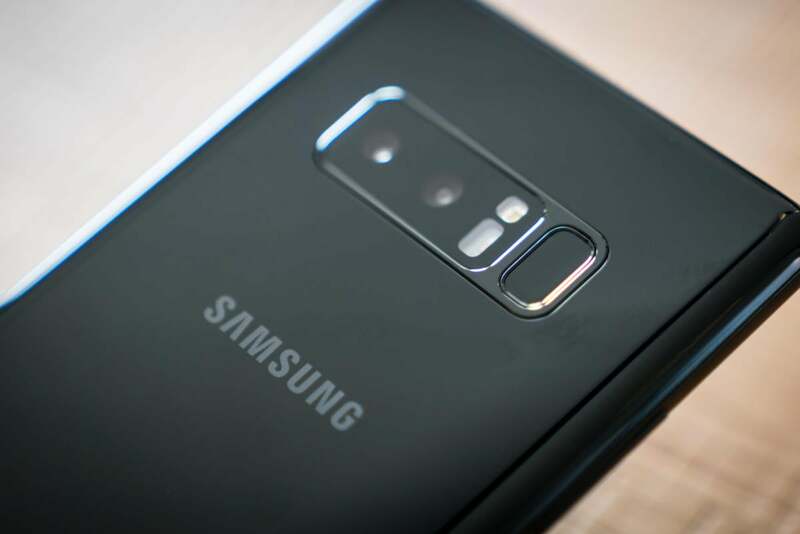 Samsung has added optical image stabilization (OIS) to both lenses as well, a first for a smartphone (competitors only offer OIS on the main camera). As expected, an iPhone 7 Plus-like portrait mode is the key feature of the Note 8’s dual-camera system, but Samsung takes it a step further with Live Focus, a feature that uses both camera to create depth-of-field bokeh effects. Inside the camera app you’ll find a slider that lets you adjust the amount of background blur in your shot, both before and after you snap it. Apple's phone doesn't offer this level of depth-of-field control. 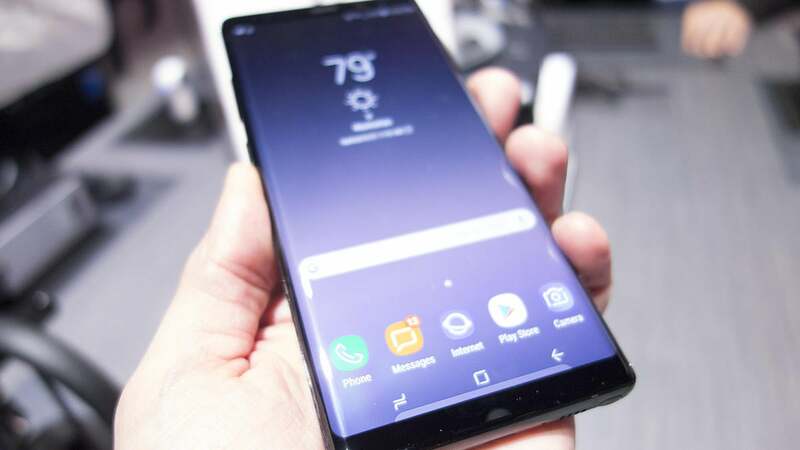 Does the Note 8 run Android 8? Not yet. The Note 8 ships with the Samsung Experience based on Android Nougat 7.1.1. However, Google has said it is working with Samsung to get some of its handsets updated to Oreo before the end of the year. It should. Google added Daydream support for the Galaxy S8 and S8+ in July, and since the Note has the same WQHD+ Super AMOLED display, it should be technically able to run Daydream right out of the box. But I can use Note 8 with my old Gear VR headset right? Actually, no. The slightly bigger screen means the Note 8 is incompatible with the older Gear VR headsets, so Samsung is selling a new one to accommodate it. Can I use it to watch Netflix HDR shows? It’s unclear. While the Note 8 is HDR certified by the 4K Alliance just like the Galaxy S8, the Netflix app only supports two phones for HDR playback: the LG G6 and the Sony Xperia XZ Premium. Presumably, an update will bring HDR support at some point soon, but neither Samsung nor Netflix have made an announcement. 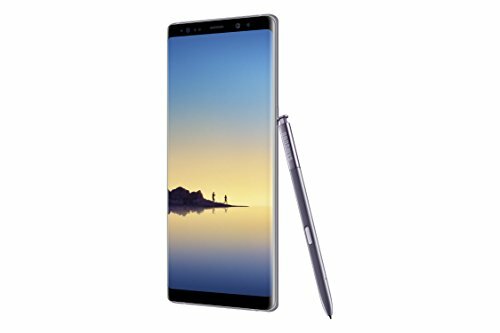 Are there any new S Pen features? A couple things are new with the Note 8’s S Pen. Screen Off Memos has been expanded to allow editing and up to 100 pages of notes. You can also translate full sentences instead of just words, and hover over currency numbers to convert them. Additionally, a new feature called Live Message lets you send a GIF of your S Pen drawings in action to your friends.